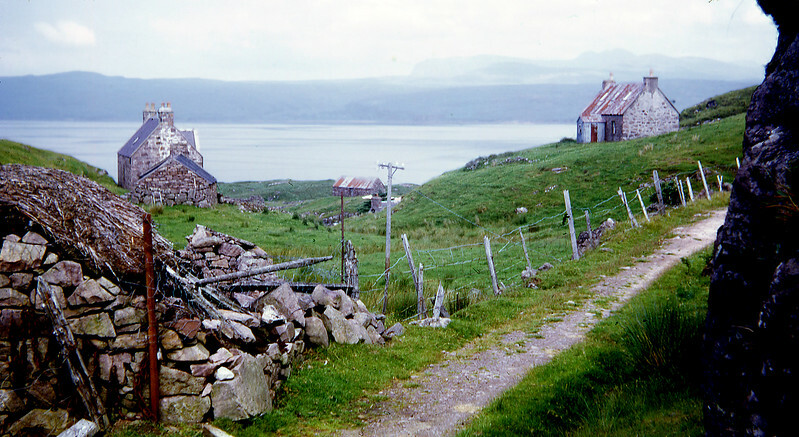 My late brother, then recently qualified as a schoolteacher, took a number of August holidays in Barra and Uist, often staying in the Gatliff Trust hostel at Howmore. It was in the course of one of these trips that he met his future wife, the daughter of the former CoS minister at Howmore. These photos are all my brother's. I have included such information as was written on the Kodachrome slide mounts, but many are blank. Any information from a present or former Uibhisteach will be gratefully received.